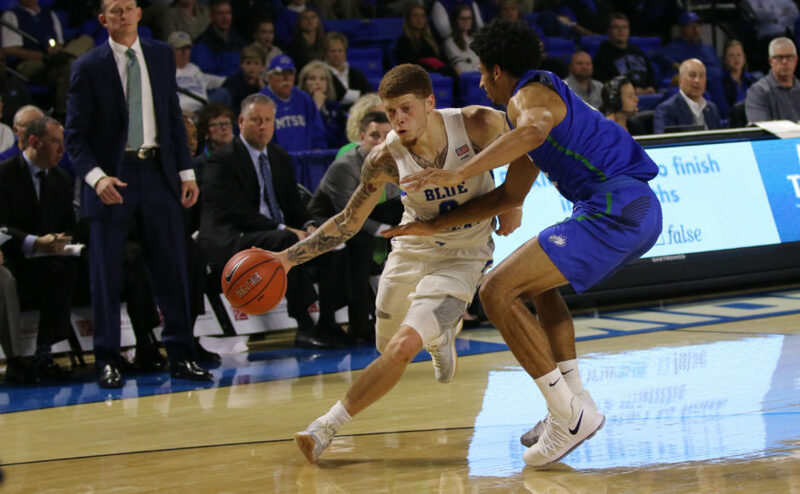 The Middle Tennessee State Blue Raiders (4-1) won their second straight game on Tuesday as they defeated the Florida Gulf Coast Eagles (2-2) by a score of 85-72. 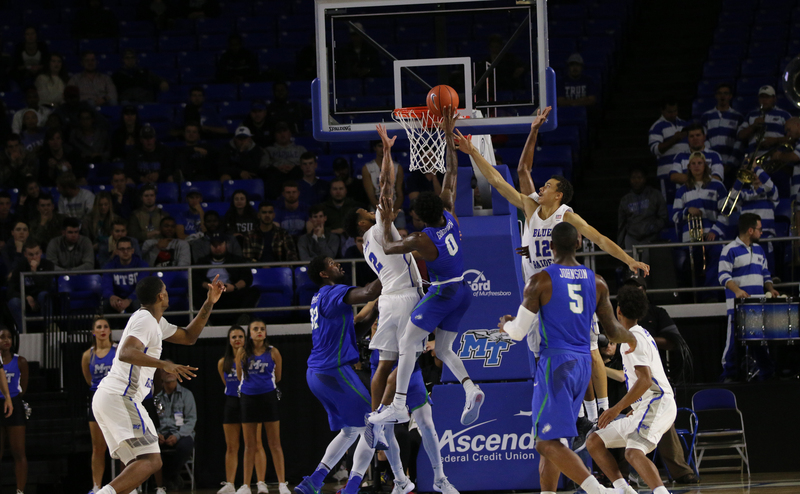 Middle Tennessee gave up the first bucket of the game on a Ricky Doyle lay-up, but they locked down on defense after that. Following the early bucket, the Eagles didn’t score again for the next four-and-a-half minutes. 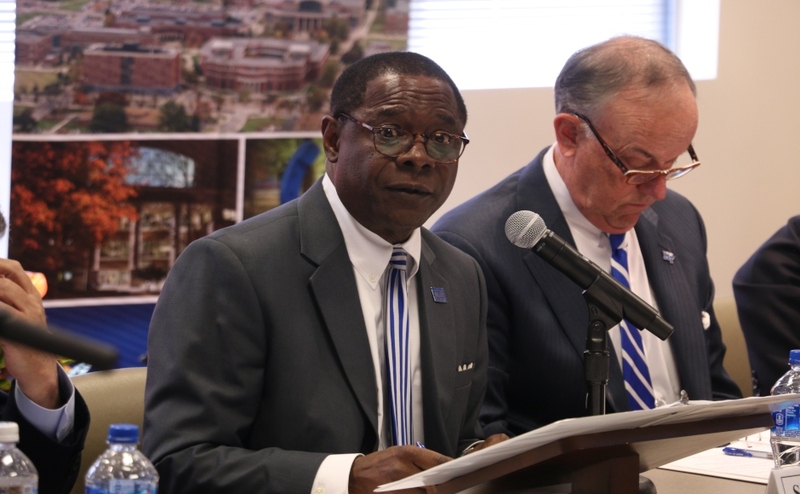 This allowed the Blue Raiders to go on a 10-0 run and take control early. That mark held for the rest of the game, as FGCU never took the lead back. 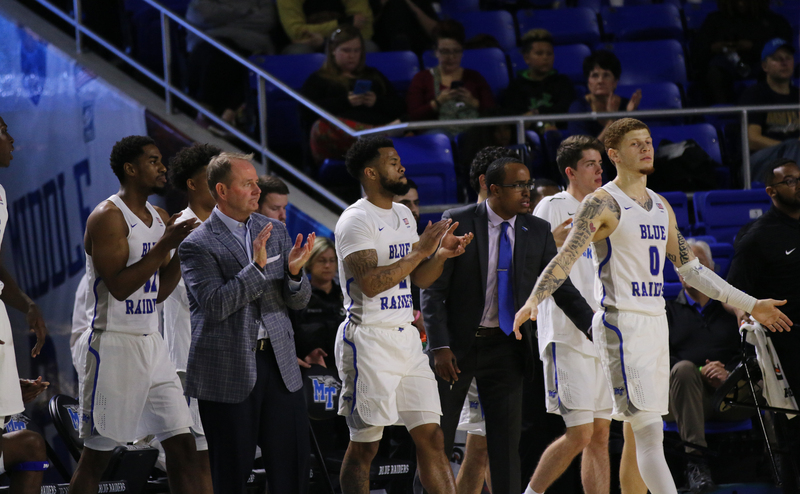 With 3:22 left in the first half, a Nick King jumper gave the Blue Raiders a 22-point lead for their largest margin of the game. 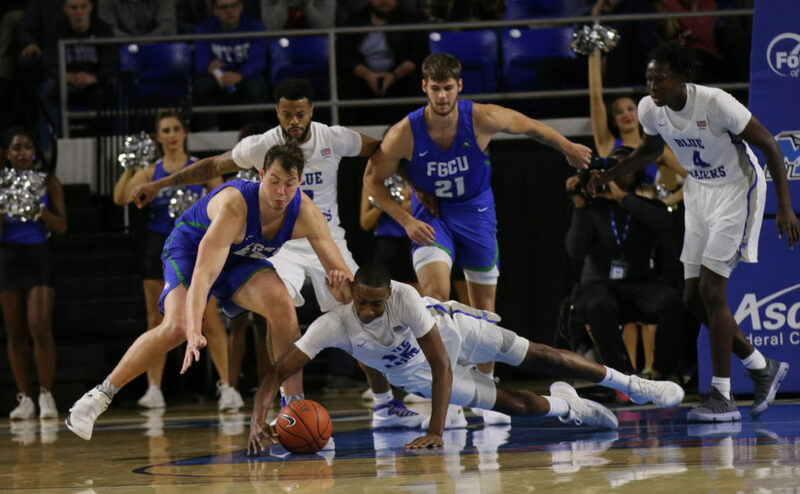 FGCU would make a few short runs in the second half that cut the lead down to 10 with 15:37 to play, but they were never able to string together enough plays to complete the comeback. Tuesday night’s game was also plagued by fouls for both teams. The two sides combined for 54 personal fouls and attempted 70 free throws. 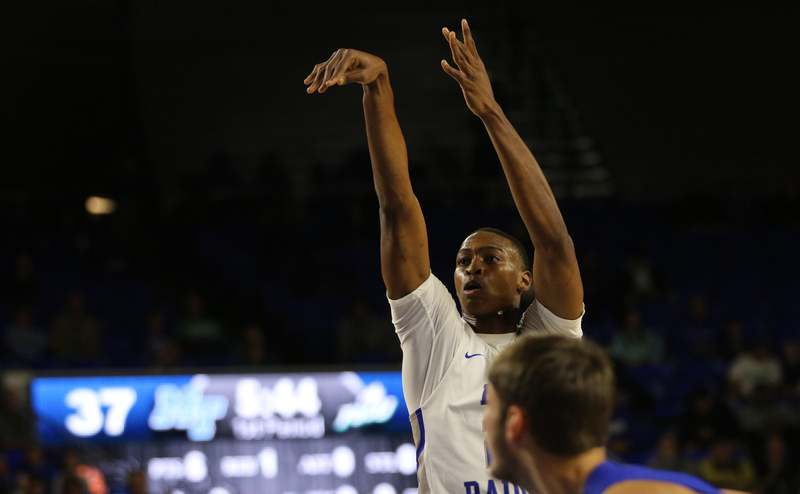 The Blue Raiders were led by King, their leading scorer, as he had another stellar shooting night. King scored 25 points on 7-12 shooting with seven rebounds and three assists. 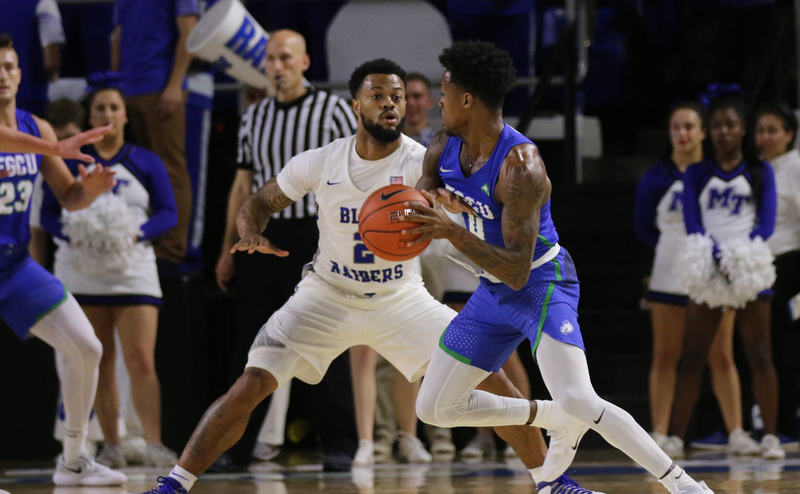 Florida Gulf Coast was led by guard Brandon Goodwin, who scored 20 points on 4-12 shooting from the field and 12-17 from the free throw line. He also grabbed five rebounds and dished out three assists. 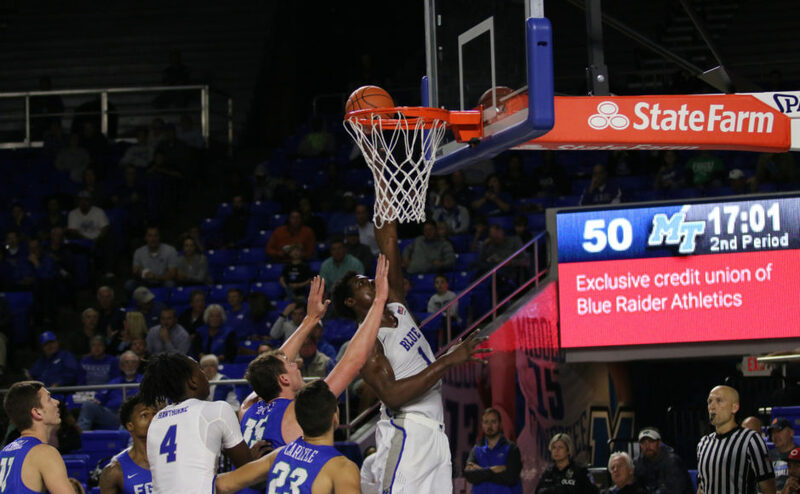 One of the keys that resulted in the big first half lead for the Blue Raiders was their impressive defensive performance. 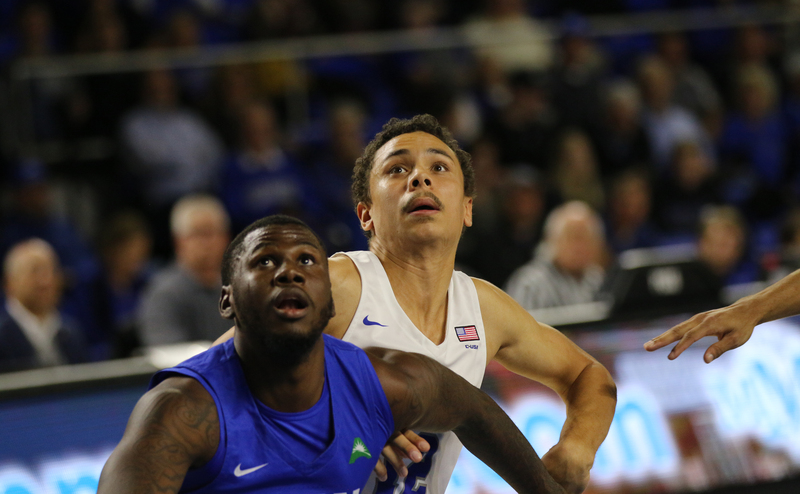 After giving up the first bucket of the contest, MT’s defense completely shutdown the FGCU offensive attack as they missed eight straight shots. That four-minute span also saw Middle Tennessee come up with three steals. With most of the starters being forced to sit due to foul trouble, the reserves were called on once again to step up and make big plays. 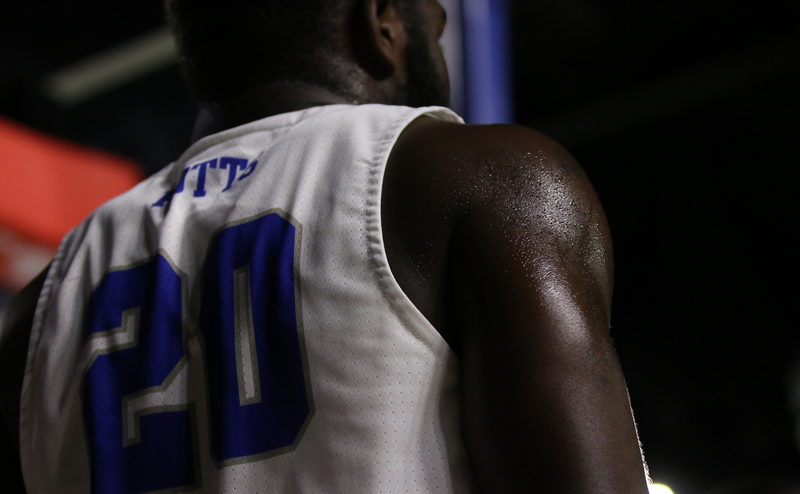 The MT bench unit dominated FGCU’s and outscored them 25-18. 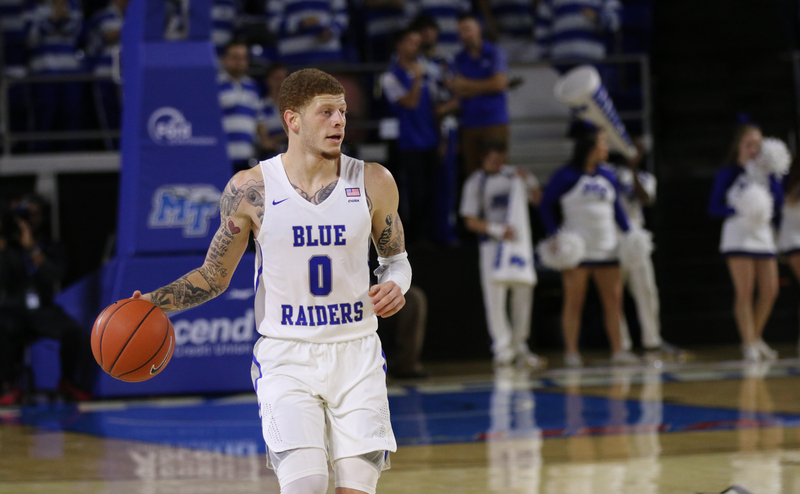 The Blue Raiders started off the second half with four starters collecting at least two fouls. 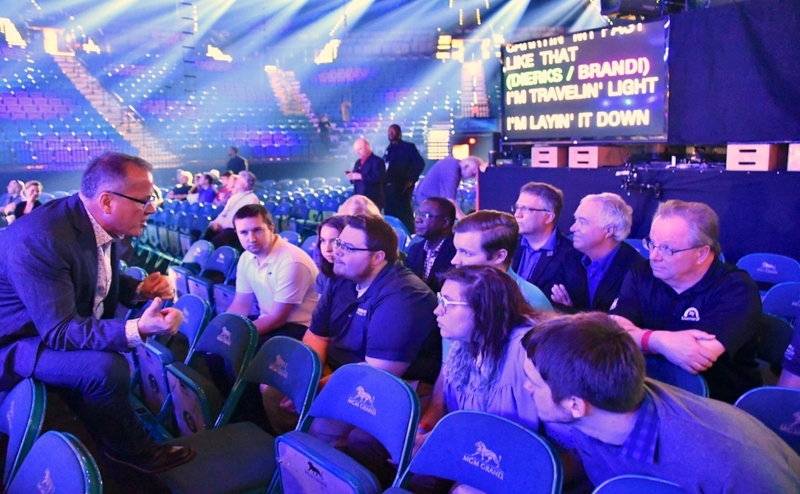 Once the second half began, Brandon Walters fouled out, while Giddy Potts and Tyrik Dixon played the last stretch of the game with four fouls. 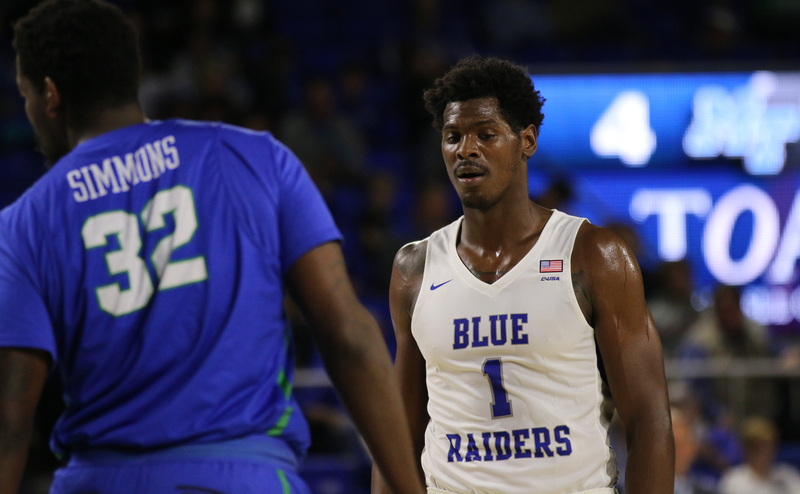 Despite the foul trouble from the starting unit, bench players like David Simmons, Antwain Johnson and Karl Gamble entered the game and provided productive minutes. Simmons provided a defensive spark all night with his on-ball defensive activity. The junior also made an impact on the offensive end, as he tallied nine points on 2-3 shooting from the field and three assists. 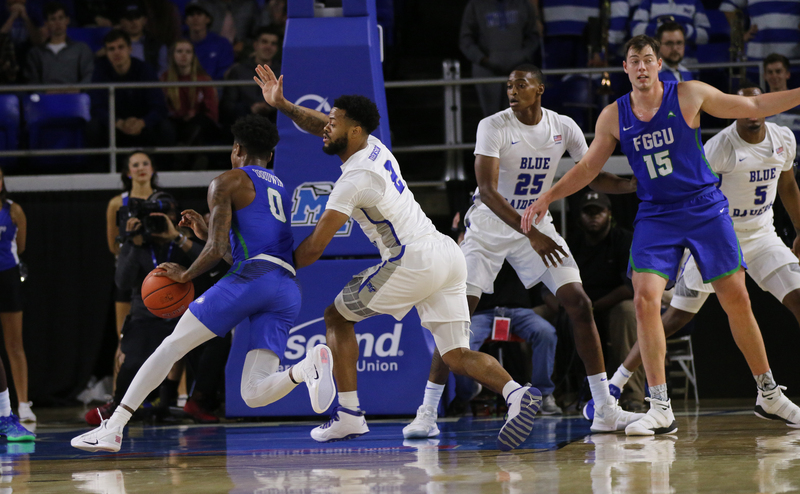 Gamble was another notable performer off the bench, giving MT some crucial scoring and rebounding production from the center position while Walters was in foul trouble. Gamble provided eight points and six rebounds in his 20 minutes of game action. 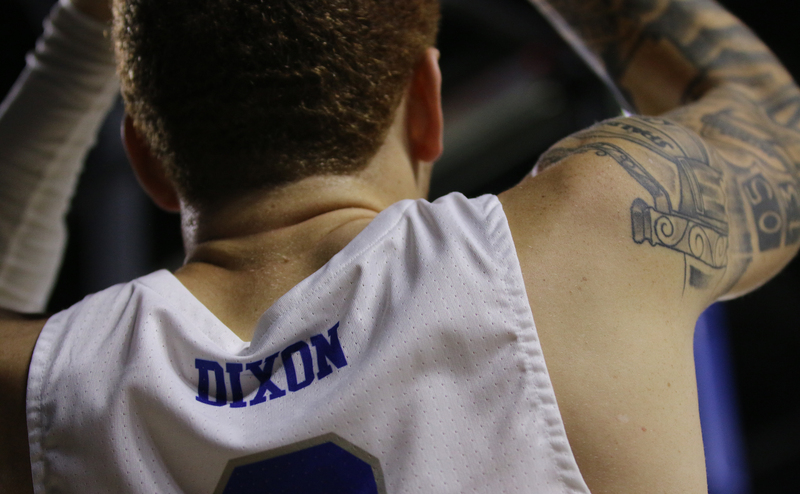 The biggest story of the game came from the performances of King and Dixon. 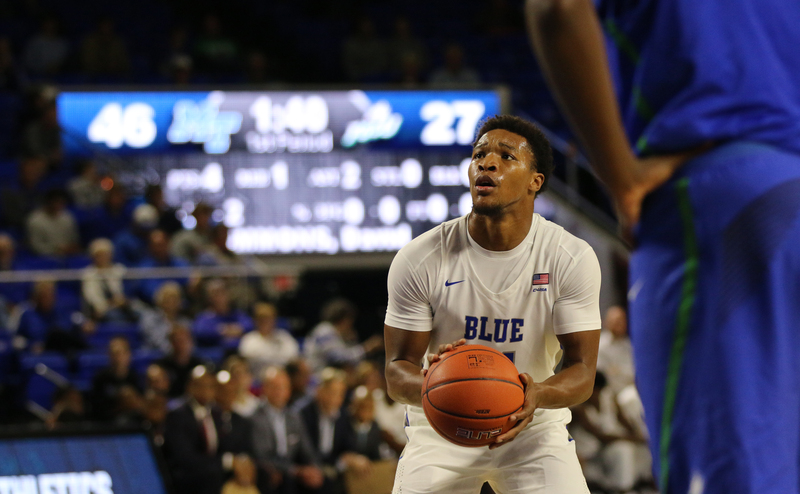 King came into the game as the Blue Raiders leading scorer at 22.3 points per game and on Tuesday, he led all scorers with 25 on an efficient 7-12 from the field and 1-2 from the three-point line. What made the night special for King was also his performance at the free throw line, as he went a perfect 10-10. King has been doing this all year, as he continues to add onto the best start of a season in his college career. One of those guards that King was thankful for on Tuesday night was Dixon. The sophomore had one of the best nights of his career, as he scored 12 points, grabbed ten rebounds and recorded six assists. Davis certainly took note of Dixon’s game and attributed it to him playing more to his own strengths. 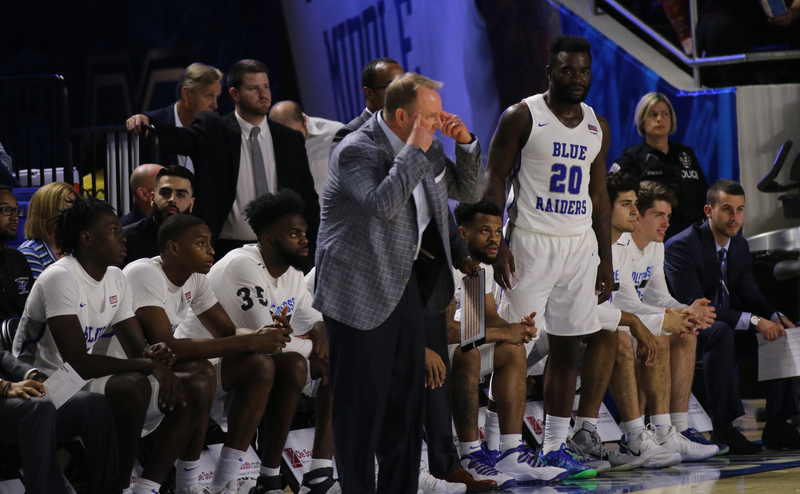 The Blue Raiders will take a short break from the schedule as they won’t play again until Dec. 2, when they take on this same Florida Gulf Coast team again. 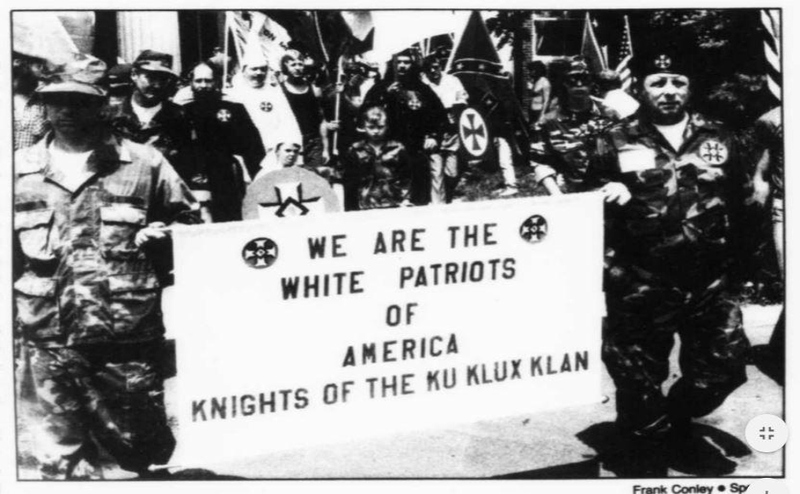 Next time, they’ll be playing in Fort Myers, Florida. When asked about what he wants his team to improve from the game on Tuesday night to the game next week, Davis simply wants his team to improve defensively. “Guarding the dribble … our ball screen defense will be a top priority over the next two or three games,” Davis said. 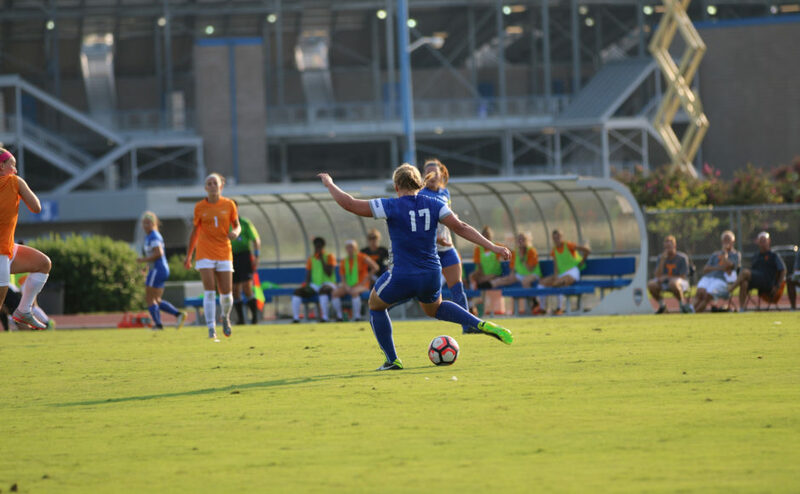 The rematch with Florida Gulf Coast will top off on Saturday Dec. 2 at 6 p.m. and can be seen on ESPN 3. A gallery from the game is below. 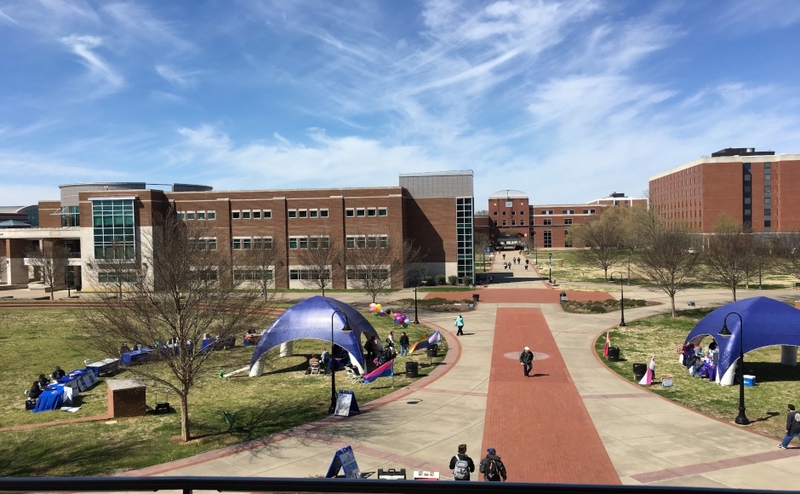 Follow MTSU Sports Reporter Elijah Campbell on Twitter at @E_Campbell3.